Hangers allow you to advertise in focused areas of your town or city without paying for EDDM postage. Great for service-based professionals, real estate door hangers are an easy way to build name recognition. Prints are available in three sizes and a variety of paper choices. Our custom hanger printing is eco-friendly, using soy-base inks which emit less volatile organic compounds (VOC) during our green printing process. 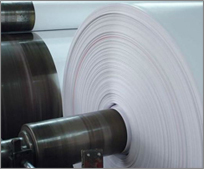 Pricing varies based on paper type, backside printing, coatings, etc. Thick paper w/ semi-gloss water-based coating.  Recycled Paper: Additional 5 business days.  16pt. Dull Cover: Additional 3 business days.  Quantity Over 5K: Additional 3 business days per 10k.